You are currently browsing the tag archive for the ‘Slavoj Zizek’ tag. Meillassoux lists three positions that fall under the label correlationism: transcendentalism, phenomenology and postmodernism. 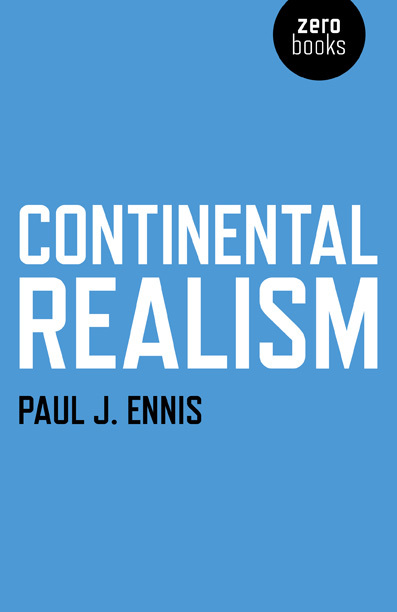 This implies that most correlationists are ‘continental’ antirealists. These continental antirealist positions tend to emphasize questions of givenness, human access, and transcendental subjectivity. The correlationist claims that when you speak about objects, events, laws or beings you do so in the sense of the correlationist’s commitment: as given. When I saw that the author of this book was based in Dublin I got onto the philosophy student grapevine (translation – I sent a text) and within minutes had the full skinny on Paul J. Ennis. Ireland is a very small place. The social scene of former philosophy students is even smaller. Ennis is here critiquing the theories of Quentin Meillassoux and the Continental Realist school he has come to represent. Nothing less than a challenge to the dominant theories of Immanuel Kant, whose ‘Copernican Revolution’ has infused academic philosophy ever since, this is a fascinating discussion. Focusing on Meillassoux’s ‘After Finitude’ initially, Ennis then expands his book to include a study of the aforementioned Kant, Alain Badiou, Slavoj Zizek and Markus Gabriel, before becoming beached on the lonely shore of Heidegger. There is nothing less at stake here than the relevance of philosophical discourse itself, Ennis providing a candid examination of the opposing sides in this refreshingly modern philosophical debate. What Meillassoux terms the ‘arche-fossil’ or ‘The Ancestral Realm’, forms the basis of his attack on post-Kantian correlationism – the notion that we can only know the world as it is perceived. As scientific discovery and technological advancement have increased, divisions between mind and body, phenomenological bracketing and noumena have become the stuff of tired academic lessons. Philosophy has become the dogmatic study of ‘ephemeralities’ ghost of thoughts propounded by dead men. The Anglo-American, or Analytical school of philosophy has exhausted the limits of Wittgenstein, who in turn reduced Kant’s legacy to a discussion of statements. The study of thinking, metaphysics, ethics, all become boiled down to a series of logical relations, dependent on science for its existence, which it gave birth to as ‘natural philosophy’ (brilliantly described by Neal Stephenson’s Baroque Cycle). Should the world suddenly end, the human world, our part in this universe would be over. Meillassoux embraces the scientific perspective of the observer-less model of existence. In effect this change in European thought represents a rejection of post-modernism, an assertion of mathematical absolutes. Philosophy has traded in a sort of backdoor theism for too long, as well as a sycophantic devotion to science (all in aid of preserving its territory over academic discourse) – Meillassoux rejects both in favour of a philosophical model that can accomodate hard science. This is an excellent introduction to a fascinating new development in philosophical thinking. With thanks to Zero Books for my review copy. Imagination about travel corresponds in Verne to an exploration of closure, and the compatibility between Verne and childhood does not stem from a banal mystique of adventure, but on the contrary from a common delight in the finite, which one also finds in children’s passions for huts and tents; to enclose oneself and to settle, such is the existential dream of childhood and of Verne. In 2000 I spent a month living in both Paris and Brussels. This was with a view to practicing French so that I could pass my final exams in college. While I was in Paris I did a lot of browsing in book shops and found the book I am reviewing today. Barthes is often discussed in literary theory workshops due to his ‘Death of the Author’, argument. What is more I was drawn in by the cover of the book, a picture of Greta Garbo. I suspected that this was Barthes tackling an early form of film theory, so I snapped up the book, threw it into my luggage and returned to Dublin some weeks later. When I got home, a good friend of mine saw my copy of Mythologies and asked for a loan. This was in August 2000. He returned it to me before I left Ireland in May of this year. Well, better late than never as they say. Mythologies is a collection of previously published magazine articles and essays by Barthes that expand upon de Saussure’s theories of signifiers and codified meaning. It is seen as a landmark work in semiotics. Barthes explores how commonly accepted meanings and objects actually mask a series of competing narratives that lie behind our cultural understanding of the world. This he applies generally to French culture and the media particular to that country, but also generally to literature and cinema. In many respects Barthes prefigures the work of the mad Slovenian Slavoj Zizek, who extrapolates trends in human behaviour or political consciousness from populist movies and famous recent historical events. The chapter titled The Brain of Einstein describes how the mind of a famous scientist, an ephemeral think indelibly linked to the understanding of the man himself, has become objectified in keeping with his status as an avatar of scientific discovery. Einstein’s cerebellum has become a machine, an object to be fought over by museums and hospitals. In The Poor and the Proletariat Barthes challenges Charlie Chaplin to live up to the proletarian imagery of movies such as Modern Times and overly embrace a political consciousness that emanates from the working classes, as Brecht has done. The Face of Garbo presents the iconic actress as a Platonic Idea of beauty, whereas starlets like Audrey Hepburn are individualized ‘events’. This conflict between universals and particulars is central to Barthes presentation of myth, a collection of signs and signifiers that define our understanding of the world. The observer of this order of representation Barthes classifies as a mythologist and in the last essay of this collection, Myth Today, he explains the arguments that lie behind his terminology. Accessible, erudite and very readable, Barthes avoids the self-reflexive jargon of academic philosophy. A most edifying collection of essays.